From the start of the First World War in 1914, Germany pursued a highly effective U-boat campaign against merchant shipping. This campaign intensified over the course of the war and almost succeeded in bringing Britain to its knees in 1917. At first, U-boats obeyed 'prize rules', which meant that they surfaced before attacking merchant ships and allowed the crew and passengers to get away. 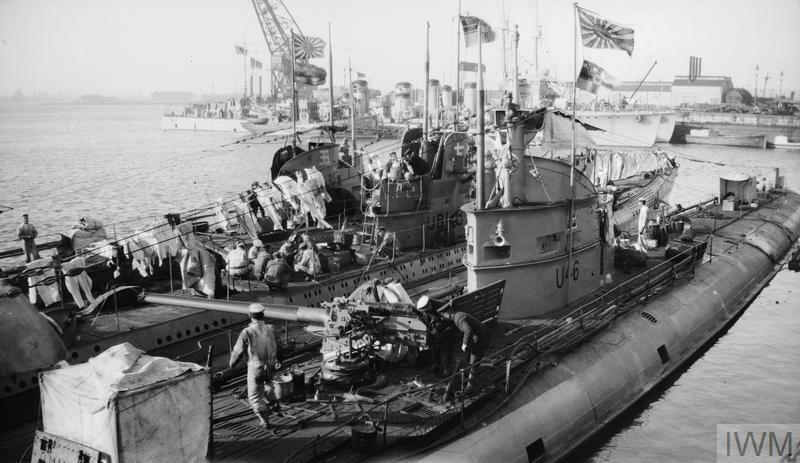 This left U-boats vulnerable to attack, especially after the British introduced ‘Q-ships’ – disguised warships with hidden guns intended to lure U-boats in close and then sink them. The use of Q-ships contributed to Germany’s eventual abandonment of prize rules. On 4 February 1915, Germany declared a war zone around Britain, within which merchant ships were sunk without warning. This 'unrestricted submarine warfare' angered neutral countries, especially the United States. The tactic was abandoned on 1 September 1915, following the loss of American lives in the torpedoed liners Lusitania and Arabic. After failing to seize control of the sea from the British at the Battle of Jutland in 1916, Germany resumed unrestricted submarine warfare on 1 February 1917. This, coupled with the Zimmermann Telegram, brought the United States into the war on 6 April. But the new U-boat blockade nearly succeeded and between February and April 1917, U-boats sank more than 500 merchant ships. In the second half of April, an average of 13 ships were sunk each day. In November 1916, Admiral Jellicoe created an Admiralty Anti-Submarine Division, but effective countermeasures arrived slowly. Most important was the introduction of convoys, in which merchant ships were grouped together and protected by warships. In addition, merchant ships were painted in dazzle camouflage, aircraft and shore-based direction finding stations were introduced to locate U-boats, and warships acquired new weapons such as an early form of sonar and depth charges. On 23 April 1918, British naval forces attacked U-boat bases at Ostend and Zeebrugge. By the Armistice, the U-boat threat had been neutralised. After the Armistice, all surviving German U-Boats were surrendered under the terms of the Treaty of Versailles. 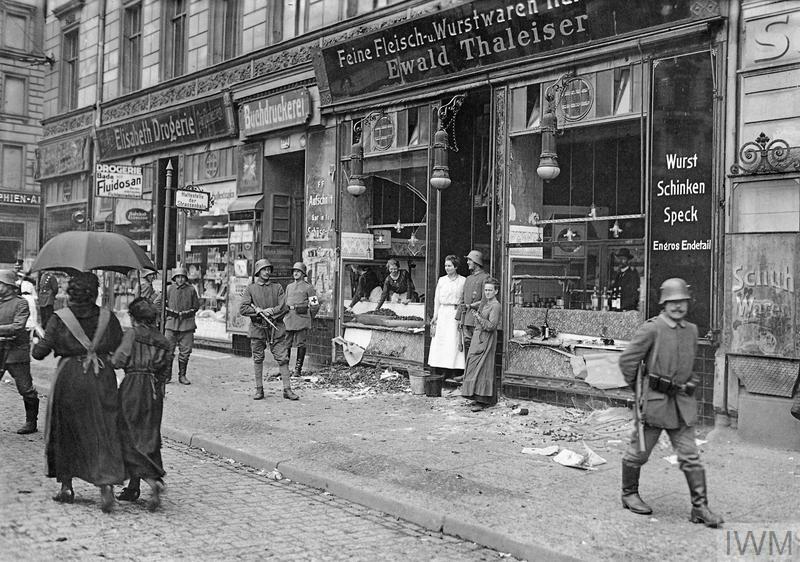 The intention was that Germany would never again be able to pose such a serious threat to British trade. 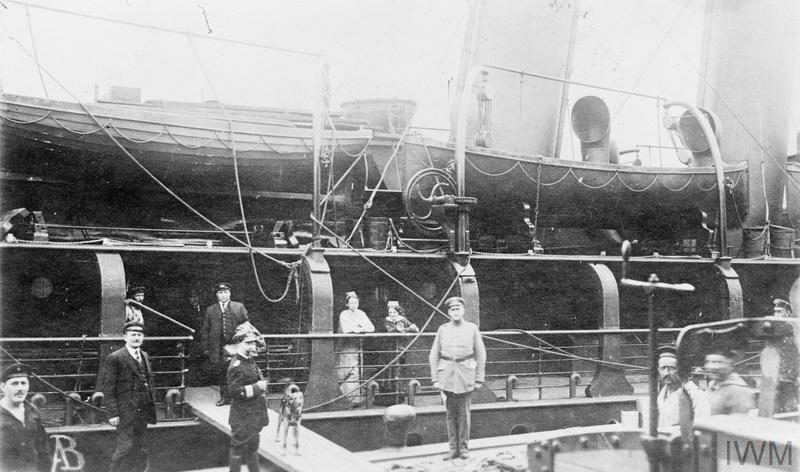 In wartime, Britain depended on civilian cargo ships to import food and raw materials, as well as to transport soldiers overseas, and keep them supplied. The title 'Merchant Navy' was granted by King George V after the First World War to recognise the contribution made by merchant sailors. During the First World War, Britain intended to use its powerful navy to starve Germany and Austria-Hungary into submission. By maintaining a blockade of enemy ports it hoped to cut off supplies from the outside world. The consequences of this strategy were complex. Episode 11: In 1914, the prosperity of Great Britain and its Empire depended on control of the world’s oceans. Since the start of the twentieth century, Britain and Germany had been locked in a bitter rivalry to build bigger and better warships.